I had just started working in Critical Care when we got informed that a patient was wheeled into the ER in a state of severe hypotensive shock. It was a person who had traveled to his village home for the weekend and in course of his stay there, had got bitten by a snake. The peripheral healthcare facility was not well staffed and after institution of anti snake venom, the patient was transfered to our hospital. En route from the faraway village, however, he developed hypotension, which worsened to such a state that he was in shock by the time he as transfered to the critical care unit. Thankfully, we managed to resuscitate him, but the snake venom, and the hypotension was more than his kidneys could handle and by the time we managed to restore his blood pressure, acute kidney injury had occurred. A rather convoluted and complicated hospital stay resulted and ultimately, the patient succumbed to complications related to his renal dysfunction. Had he not gone into what we thought was an allergic reaction triggered shock following the anti venom infusion, he would definitely had a better outcome. Almost 75% of the patients had some form of allergic response. A staggering 91% of the patients had moderate to severe reactions. 89% of the reactions happened within the first hour. Promethazine and Hydrocortisone did not help. 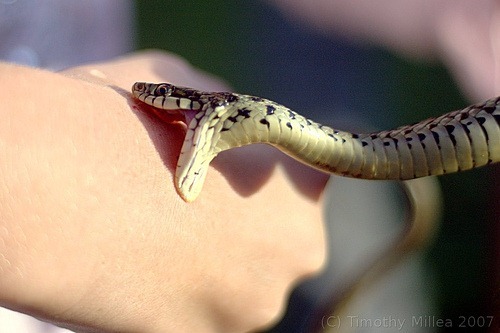 Pretreatment with low-dose adrenaline was safe and reduced the risk of acute severe reactions to snake antivenom. This may be of particular importance in countries where adverse reactions to antivenom are common, although the need to improve the quality of available antivenom cannot be overemphasized. Tags: Adrenaline Prophylaxis, Anaphylaxis, Anti Snake Venom, Blogging, MedBlogging, PLoS, Research Blogging, Snake Bites. Bookmark the permalink.